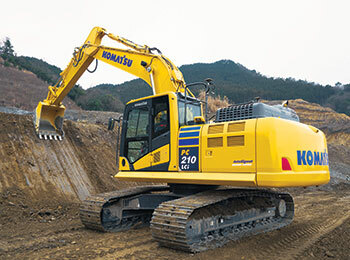 Komatsu America Corp., a leading global heavy equipment manufacturer, introduced the new PC210LCi-11, intelligent Machine Control hydraulic excavator. This second generation PC210LCi leverages the proven track record and success of the pioneering PC210LCi-10, while adding eagerly-awaited, machine-control-joystick functionality. 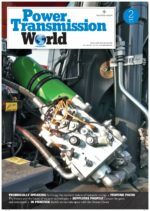 This industry-leading technology offers up to a 63% improvement in excavating efficiency over a standard PC210LC-11 and traditional stake-plus-grade-checker methods. The extra efficiency can save time and money by, 1) minimizing the need and expense of grading dozers and grade checkers, 2) minimizing the costs associated with over-excavating, including extra materials, fuel and time, and 3) utilizing the time usually wasted waiting on grade checkers and over-excavation to finish jobs and potentially collect on-time or finish-early project bonuses. Komatsu distributor single point-of-contact for all base machine or machine control issues.